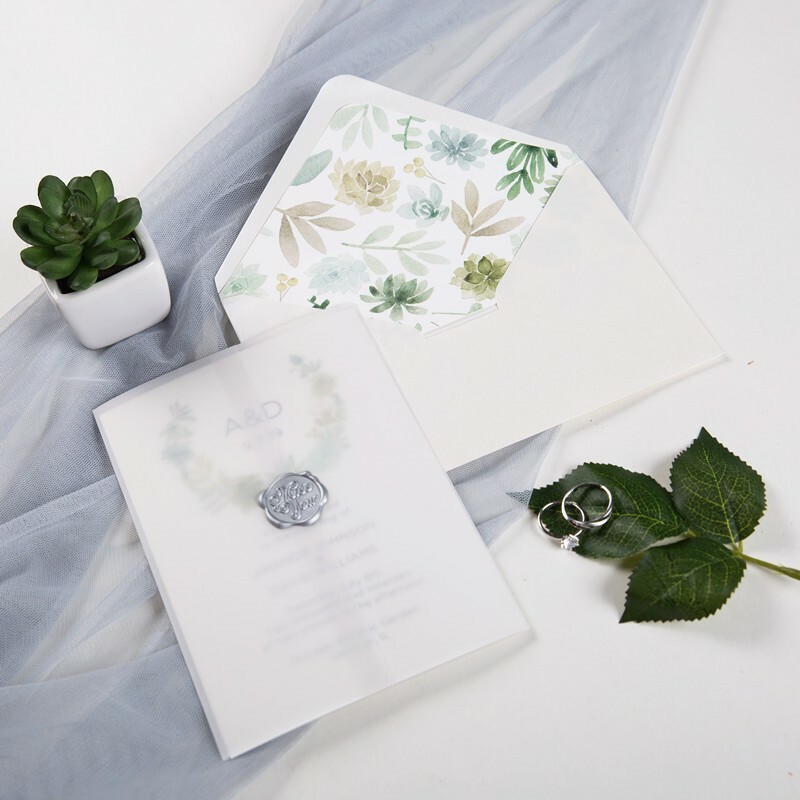 Received our invites and save the dates today and they are gorgeous! 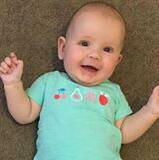 We are so happy! Thank you! 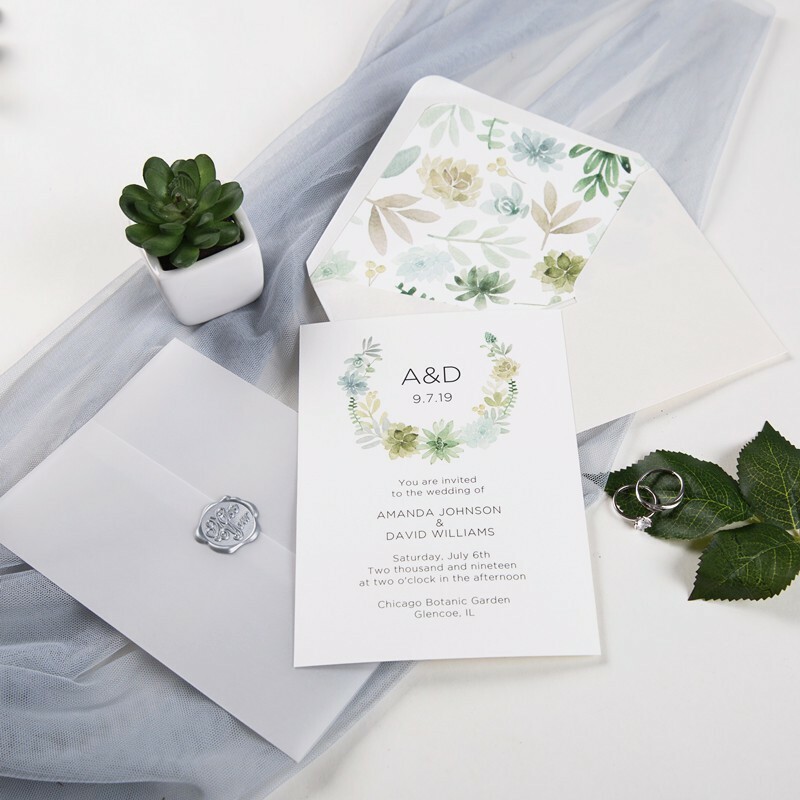 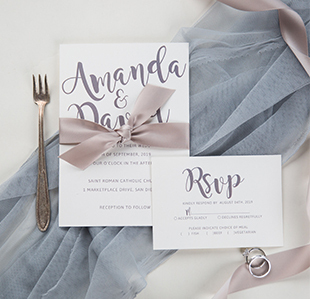 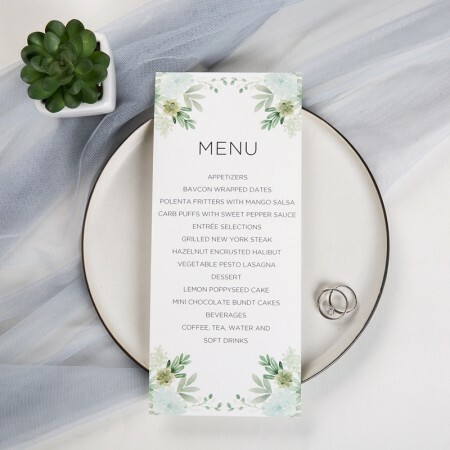 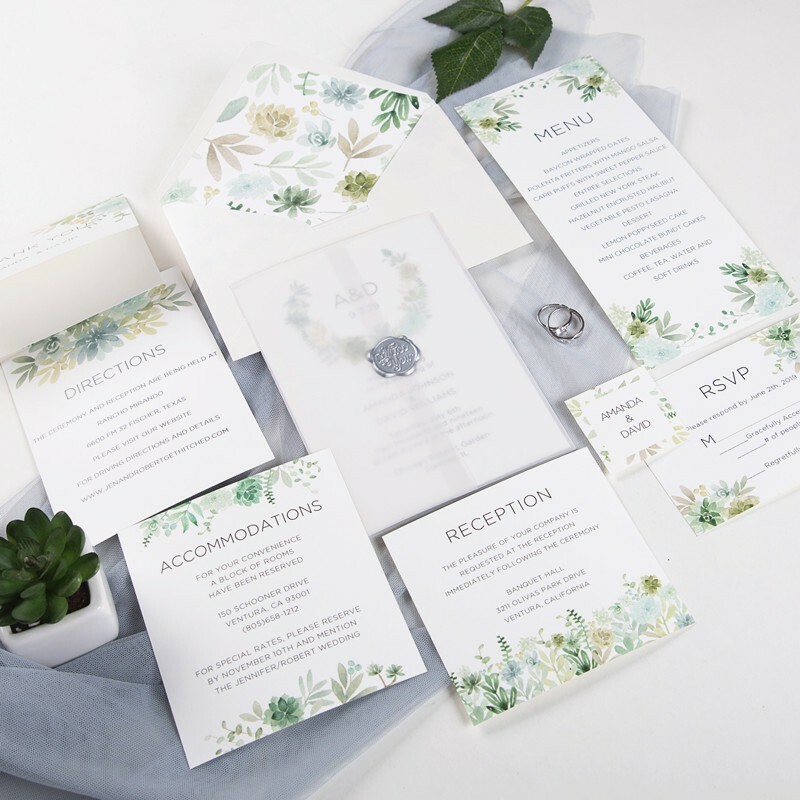 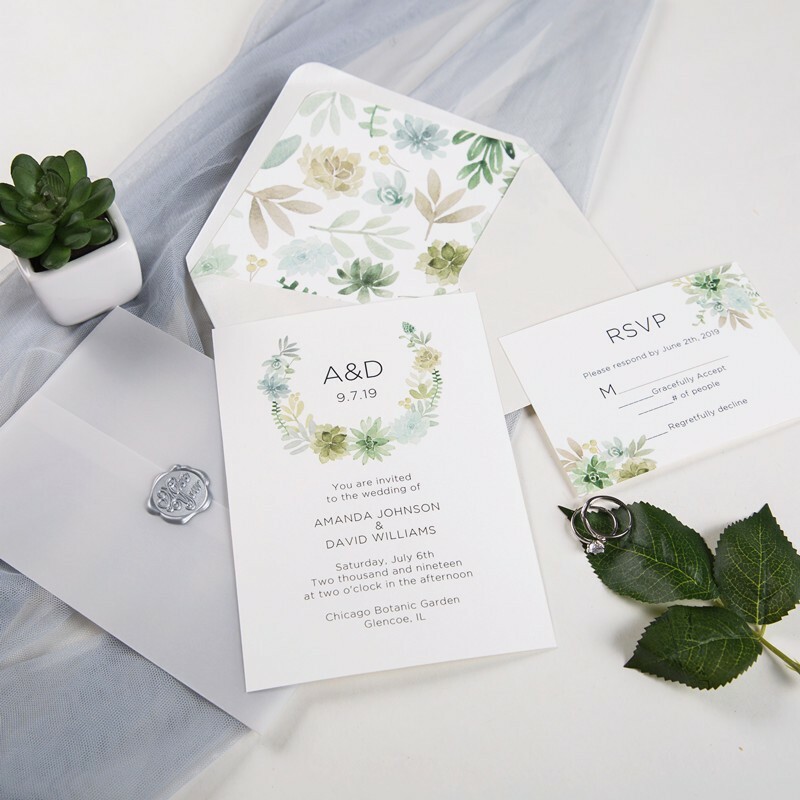 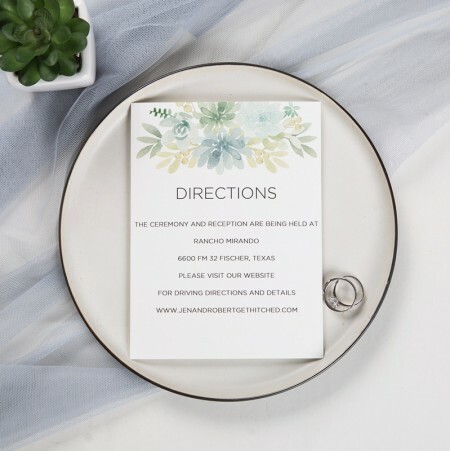 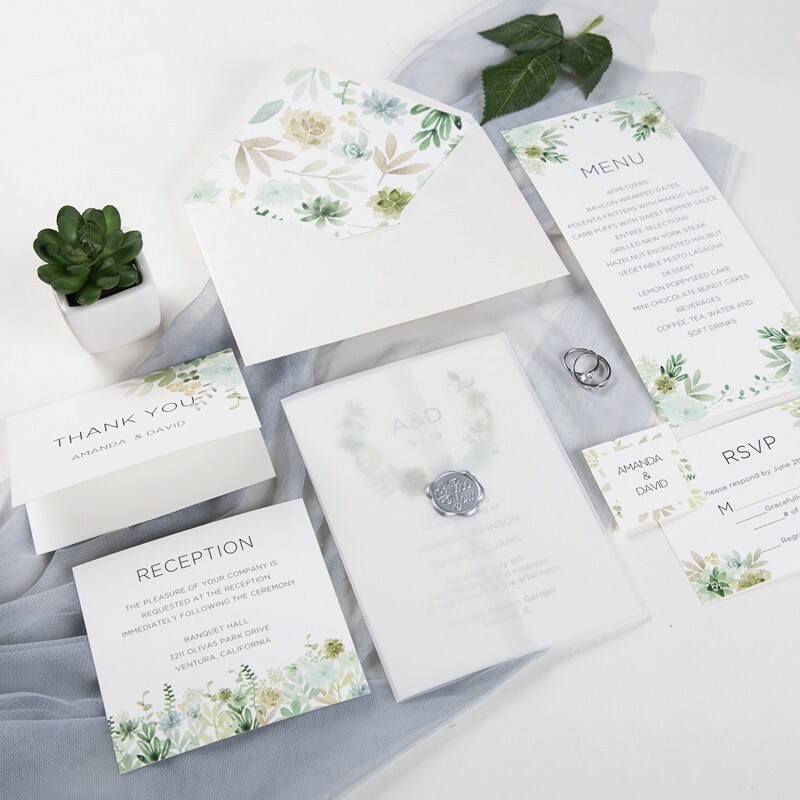 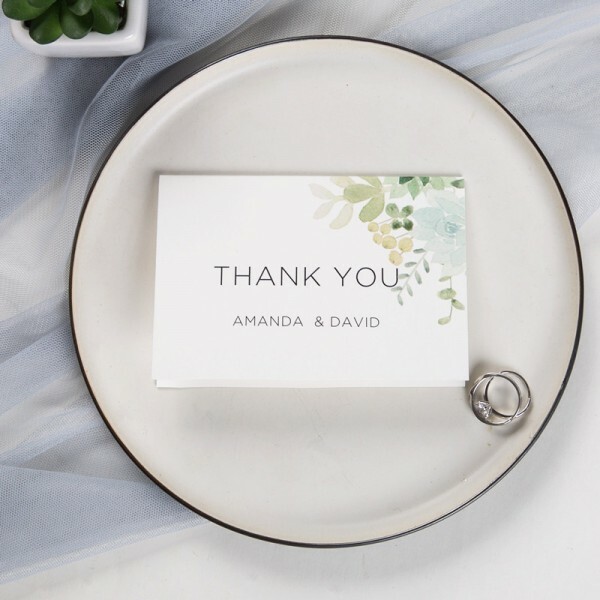 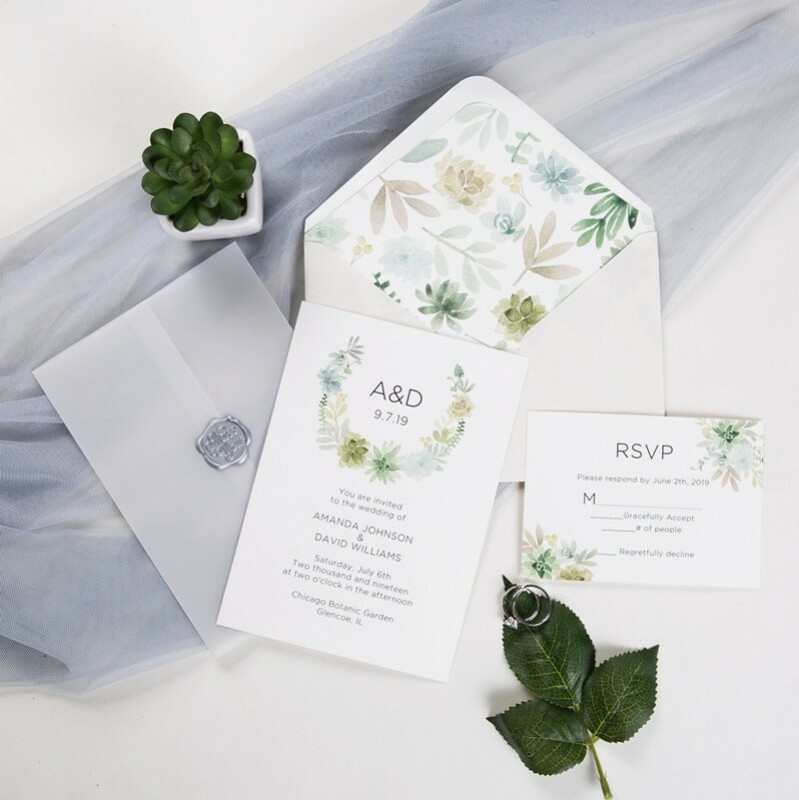 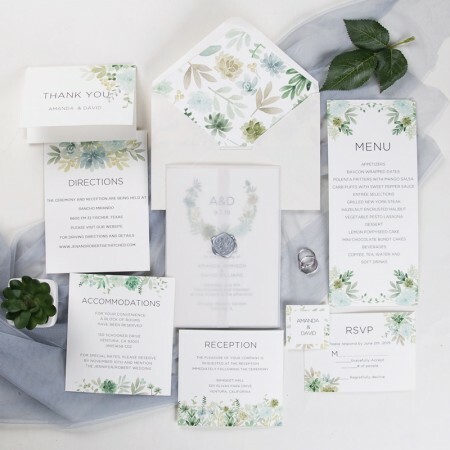 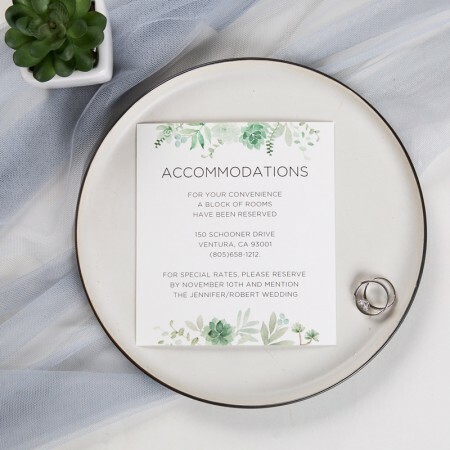 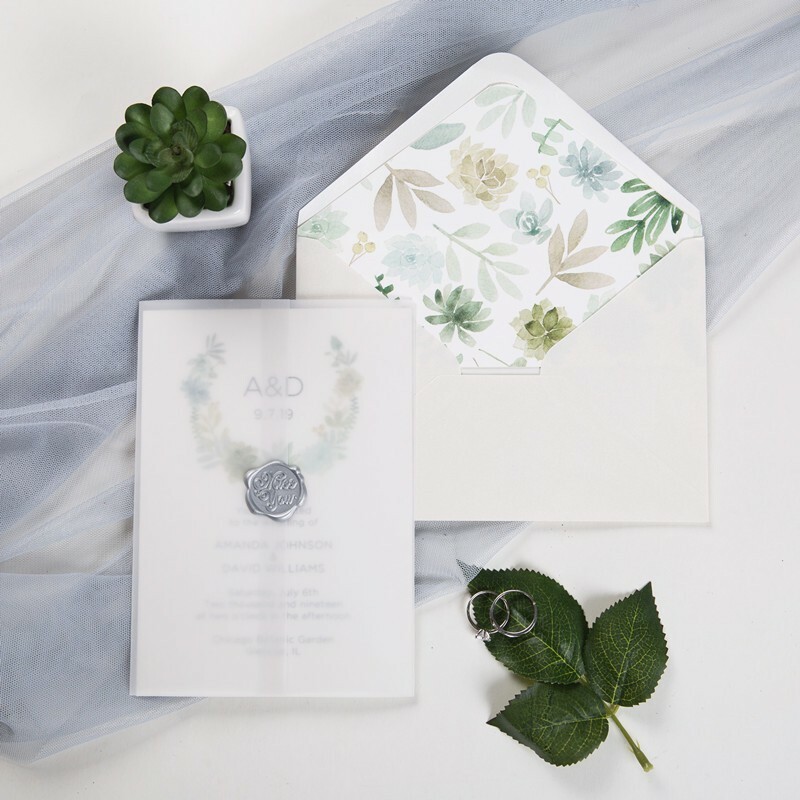 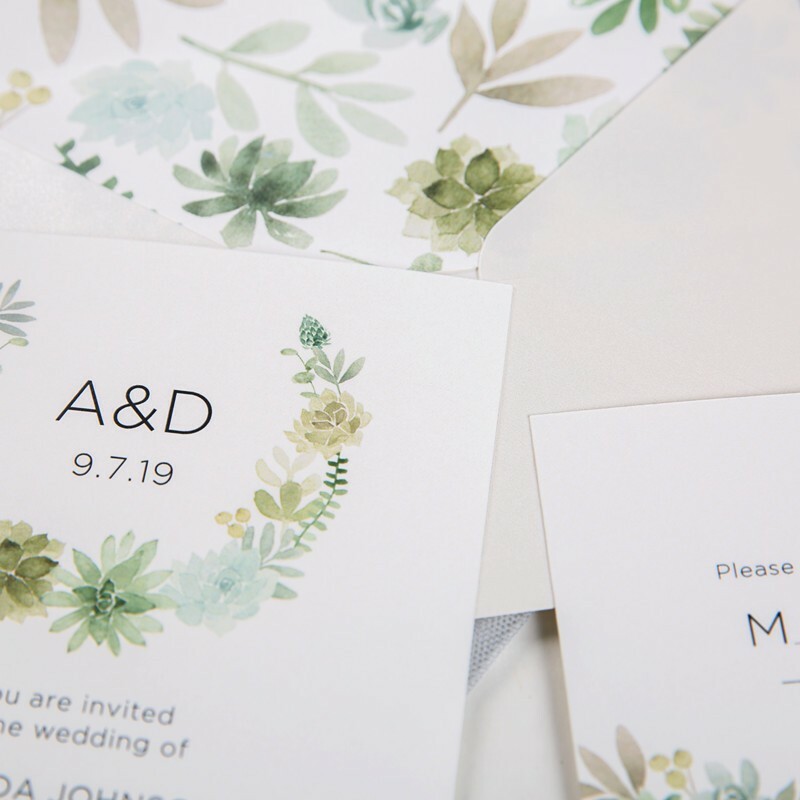 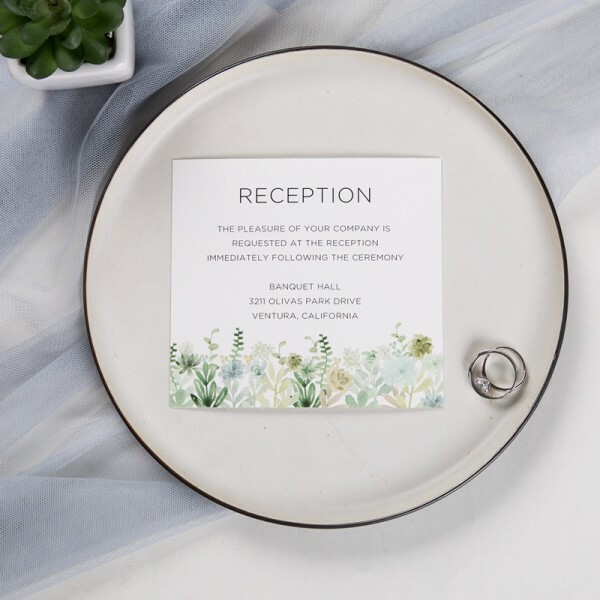 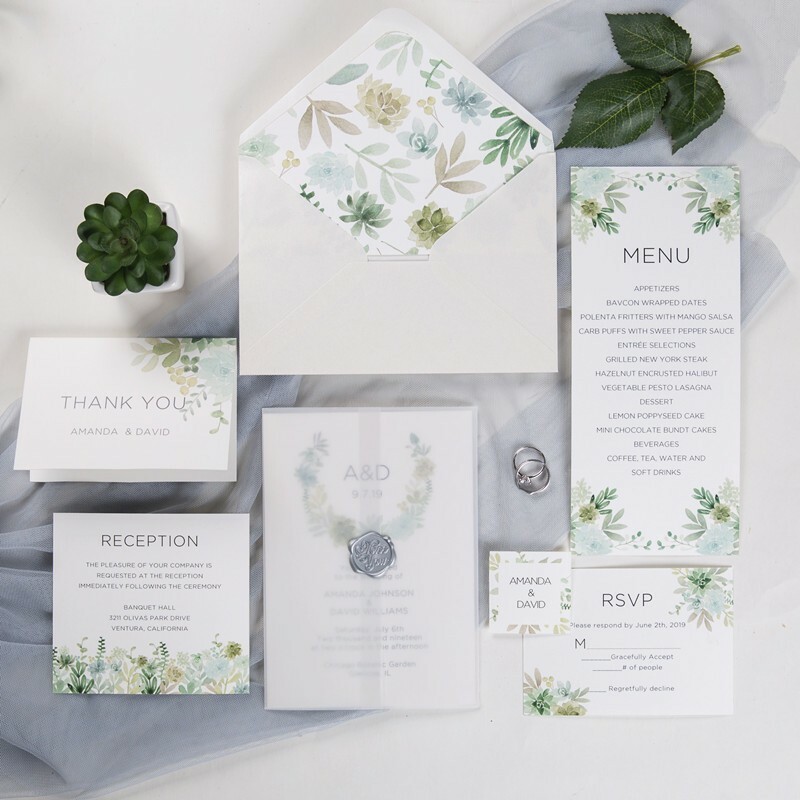 A simple modern wedding invitation featuring sweetly painted greenery succulents adorning your names on either side, with the details displayed below in formal fonts over a clean white background.